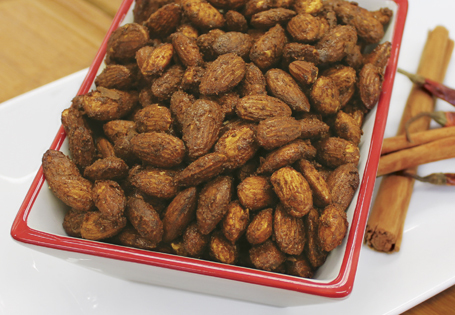 A sweet and spicy protein snack, sure to please. In a medium bowl, combine all ingredients, stir until coated. Line a large rimmed cookie sheet with parchment paper. Spread almond mixture on sheet, bake for 27 minutes. Stir almonds every 9 minutes. Allow to cool. TIP: For best results, refrigerate the leftovers for freshness.